1. 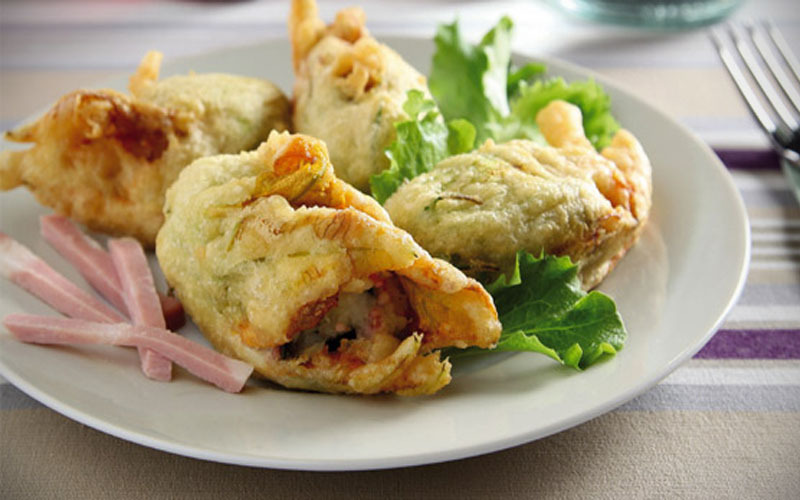 Put the chickpea flour, the sparkling water and a pinch of salt in a bowl, mix well until obtaining a velvety-textured batter. 3. Cut Mortadella into small pieces and along with the boiled potatoes, place into an electric mixer and, at a slow speed to avoid heating the mixture, create a even mixture. Then add the soy milk to make the mixture lighter. 4. Slice the olives into small pieces and add them to the mixture. At the last moment, add the puffed rice and fold into the mixture. 5. 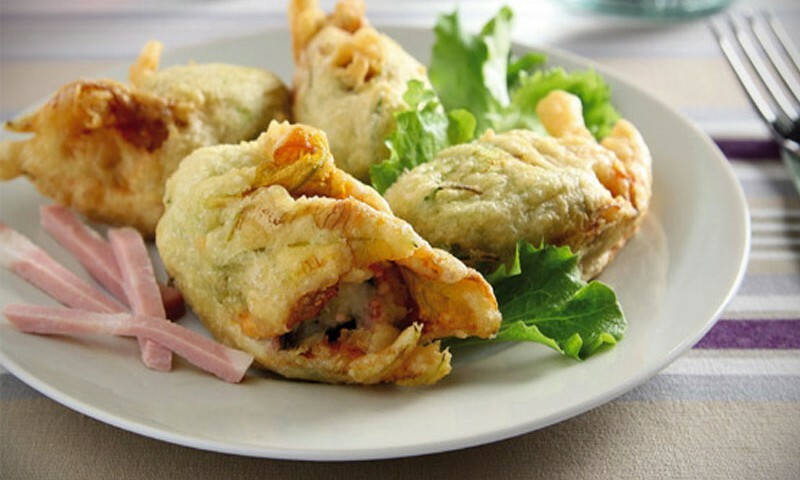 Fill the zucchini flowers with the prepared mixture, dip them in the batter and fry them in corn oil at 338 degrees fahrenheit until completely browned. Serve hot.